It’s been said a thousand times that a sharp tool is a safe tool. Sharp tools require less effort to use and as a result the user has greater control and is less likely to slip and injure themselves or damage something. 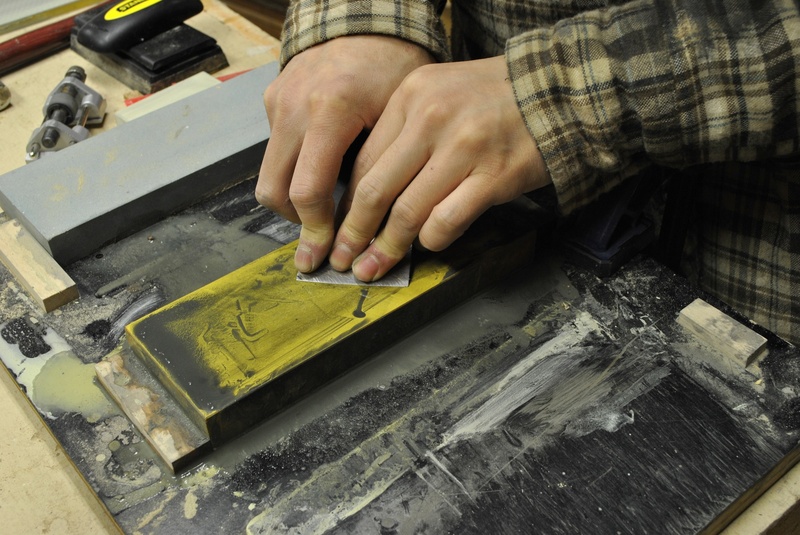 A sharp tool also cuts more cleanly, leaving a surface requiring less clean-up later. It makes sense to keep your tools sharp. The most commonly sharpened tools in my shop are plane blades and chisels. When I sense that my tools are starting to get dull, it usually only requires a little work to restore the keen edge I expect. I wet the surface of my 8000-grit Norton water stone and hone the microbevel freehand. Usually, about 4-10 strokes is all that is required before I turn the tool over and lap off the wire bur with three or so strokes. Then I dry off the tool and check the edge on the back of my fingernail. If the blade is sharp, it will catch on my fingernail. If the blade is dull, it will slide. If the edge isn’t sharp enough, I’ll use my 4000-grit Norton stone and repeat the process and check the results. Usually this is enough to restore the edge. I’ll finish by repeating the process once again on the 8000-grit stone. If the edge is in really rough shape, I’ll start the process on my coarse DMT diamond stone. A 200- or 325-grit stone would be about right. In this case, I will use a honing jig. I work the edge for about a half-minute and then check to see if I’ve created a sharp edge. If not, I continue until I have a sharp edge. Then, with the tool still in the jig, I’ll proceed to the 4000-grit stone for about 10 seconds, then the 8000-grit for a half-dozen strokes before lapping off the wire burr. Then back to work. Once you figure it out, sharpening chisels and planes is quick and painless. There is really no excuse to be using dull tools. Everyone has their own opinion on how to sharpen and the most important thing is that you find a method that works for you. After all, without sharpening there’s no point. Somehow I knew you were going to write something about sharpening after the weekend we had, always an important topic people forget about. Clear, concise explanation, well done.